The latest news and goings on with the Nottingham Heritage Vehicles Charity so far this year. Welcome to the spring edition of the friends of NHVC newsletter. In this edition we have news on gaining charity status and how this was achieved, along with all the workshop updates. New for this year is a monthly feature article in each edition. In early January it was decided to apply for charity status as we felt we could get more support from larger organisations. Also we felt what we did as a heritage group fell into the category quite nicely. Applying to become a charity took many hours of work right from drawing up the constitution document to actually finding the 6 trustee's to form the charity's committee. Trustees Simon, John and Phil spent numerous days together drawing up our constitution document and getting it prepared to put in the application. This was only the first part! The second part came in finding 4 other individuals to agree to become trustees. But in no time this was achieved. All together our trustees range from 20 - 60+ years old. One of these is former Nottingham City Transport Engineering Director, Mr John Laurie. We also have Paul Winson joining the panel. So once all the paperwork was complete with all the legalities and HMRC forms complete, the application was sent in. The waiting game now began. On January 20th we were given charity status by the charities commission and given our charity number (which is displayed at the bottom of this page). Now all our efforts could return to the restoration and fundraising planning. 540 gets some much needed TLC! 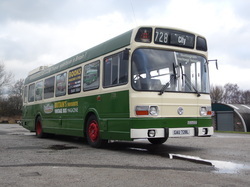 Leyland Atlantean 540 has been in preservation for a number of years now and was one of the first completed by Nottingham Heritage Vehicles. However after a number of years on the circuit we decided to take a look over the old girl and found that she urgently needed major attention the steps at both entrances (front and middle). The front step was first to be removed and we found our suspicions to be true, it was rotten beyond belief including the framework. During removal of the step a little unknown fact that John Laurie decided to share came to light. When 540 was built it was originally a single door vehicle at the front like the later example of the Nottingham Standard Atlanteans. However when 540 was due for certification before entering service the certifying officer wouldn't accept it declaring the fact that the gangway dimensions were incorrect. However when designed the regulation stipulating the gangway had to be 36inches wide to the nearest exit was designed to be the stairs to the centre doorway and not the front. John informed us it took many years for him to win the case. 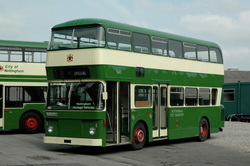 Two examples of these survive within NHVC with vehicles 433 and 442. Anyways back to the step... With the front step completely ripped out we though it best to start uncovering the middle step, the worse of the two, and below and behold it was completely rotten too. We were worried about the corrosion attacking the chassis cross member which is a key structural point on the vehicle. Luckily this was in tact and unscathed. 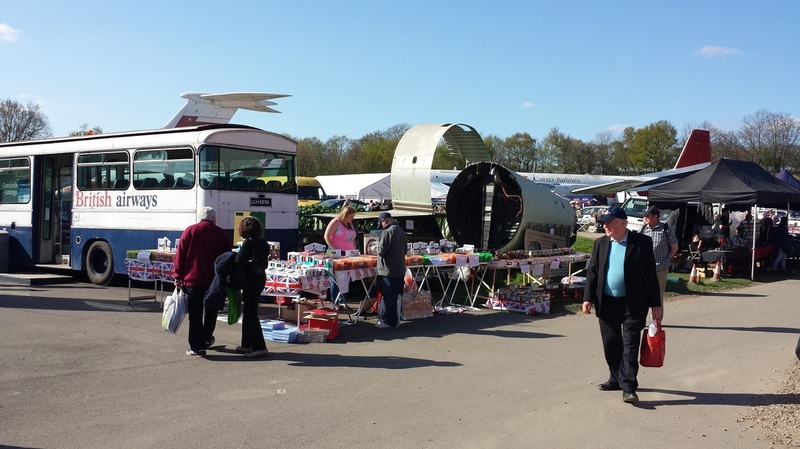 ﻿In April we attended the Spring gathering at the London Bus Museum at Brooklands, Surrey. This year we decided it cost effective to leave 728 at home and took two cars and the trailer instead. A good day was had by all and some of us even came home with a bit of sun burn from the surprise of how the weather turned out. We are hoping to attend the Lincoln Spring event and the Leicester Trust event at Quorn in April and in May we have the Trent Barton Big Bus and Train Bash at the Ecclesbourne Valley Railway, Wirksworth.